Getting the boot could be the best thing that occurs on your next vacation. That’s what happened to one visitor during a recent stay in this rapidly changing Interior city. Long a stop on the highway to “stretch-the-legs,” Kamloops is morphing into an honest contender for your travel dollar. It’s acquiring the best of the new, while hanging on to a fascinating heritage. You might be surprised to know that Gord was not just a casual visitor to Kamloops. Throughout the year our communications team works in depth with communications partners, publications, journalists, influencers, and community stakeholders. We negotiate deliverables, develop itineraries and host our Public relations guests helping shape memorable experiences. Memories, photos and videos are then translated into poetic stories inviting diverse audiences to come be bold and play in Kamloops. Author Gord Scott visited Kamloops this past fall for an excitement filled weekend during the Brewloops festival. 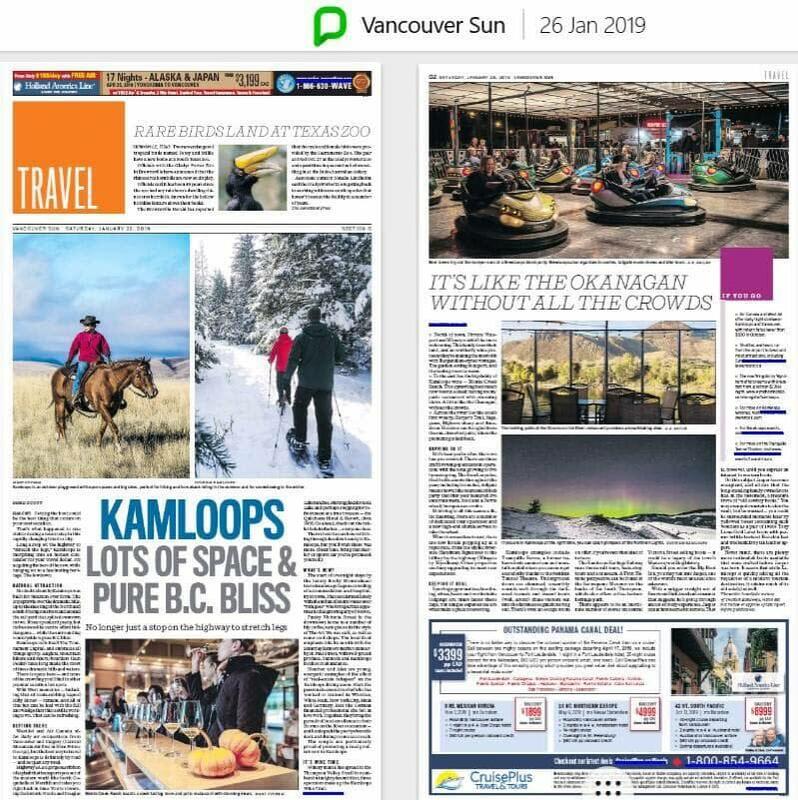 We would like to sincerely thank all of our amazing partners for truly putting your best foot forward resulting in this amazing coverage for Kamloops.